Considered the most beautiful port in the Italian Riveria, Portofino is a treasured holiday destination. Nesti Dante's pays homage to Portofino's enchanting mediterranean bays and beautiful villages that burst with charm, culture and history. 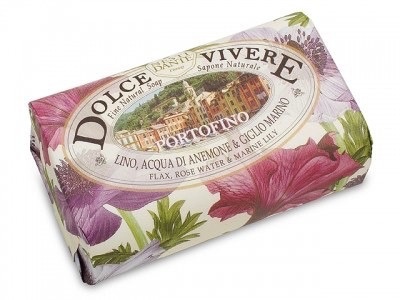 Awaken the senses with this 250gm soap fragranced with calming notes of rose water, flax and marine lily. Made in Italy.